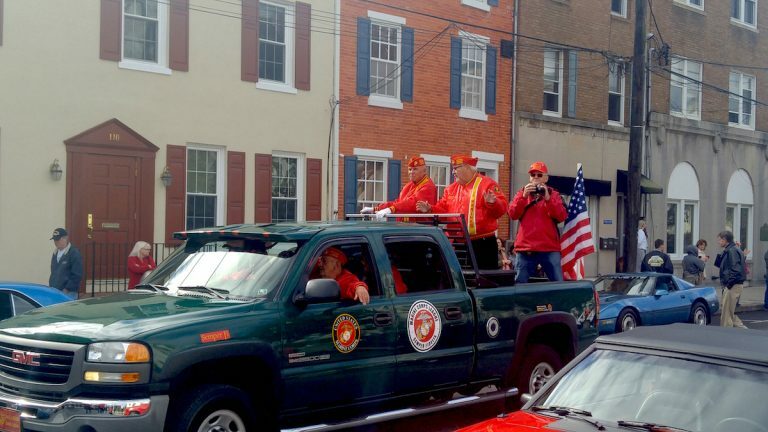 The 56th annual Delaware County Veterans Day parade brought hundreds to the streets of Media Wednesday. Bob Diamond has been organizing the salute for 23 years, and he said it grows every year. Among those who came out to watch the bands, antique cars and marching servicemen and servicewomen was World War II veteran Neil McCrossen who says the event is a way to say thanks for those who defended the United States at time of war. Francis Desmond, another veteran of World War II, said people need to think more about the wars that are going on in this country every day. “We fought to keep the country great, and, sometimes at 6 o’clock at night, you have to stay in the house,” he said.